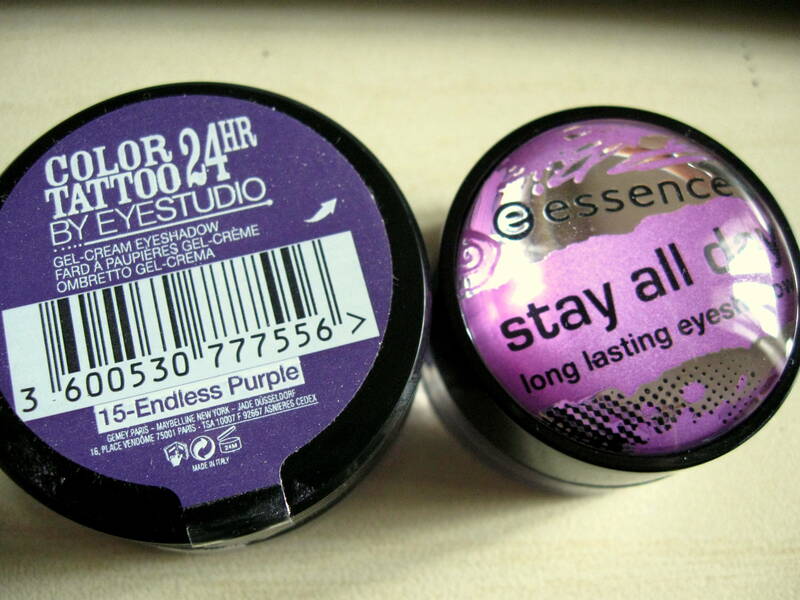 Maybelline Color tattoo 24hr VS Essence Stay all day | Tutty Trukky ! Here’s a comparison between two similar products. 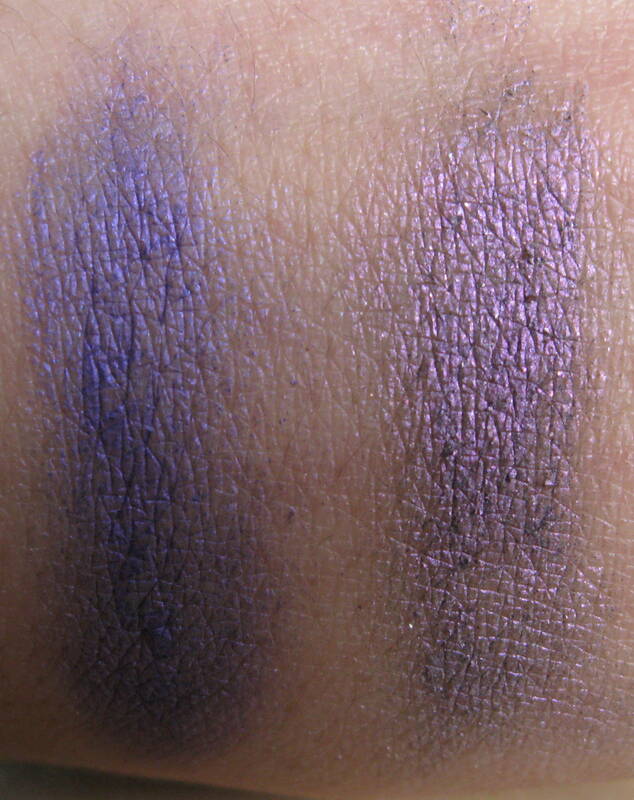 These two creamy eyeshadows are both in violet, but the consistency is not the same. It’s simply clear also from the swatch below, that it can’t last 24 hours like the label suggests. The colour is a very niiice violet, with a lot of blue component in it. 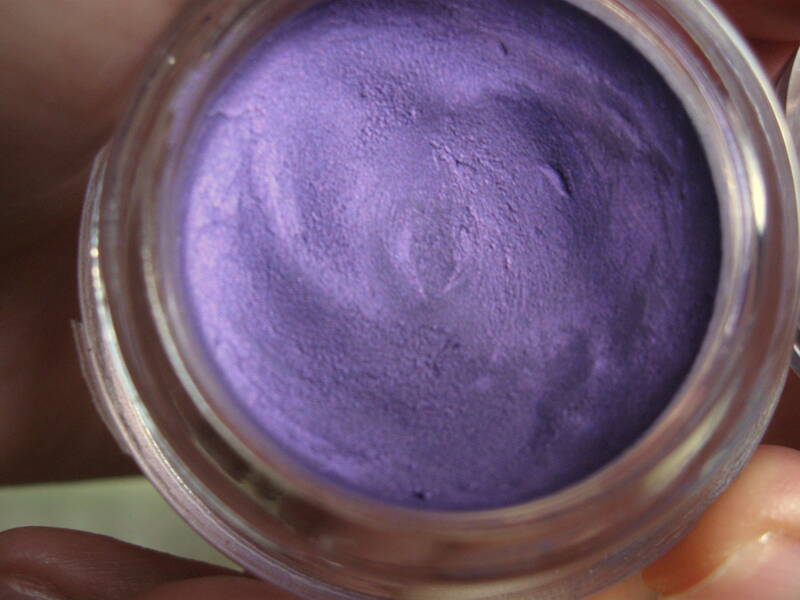 It’s very smooth but not easy to apply, the result is an unregular blot of color on the eyelid. You can work the product with you fingers and try to uniform it, but it’s not gonna work. Maybe doing a third layer of color.. This kind of products it’s perfect if you don’t have too much time to do you makeup, but this color doesn’t work on me!! The positive thing is that it dries quite quickly and it doesn’t stain your clothes. 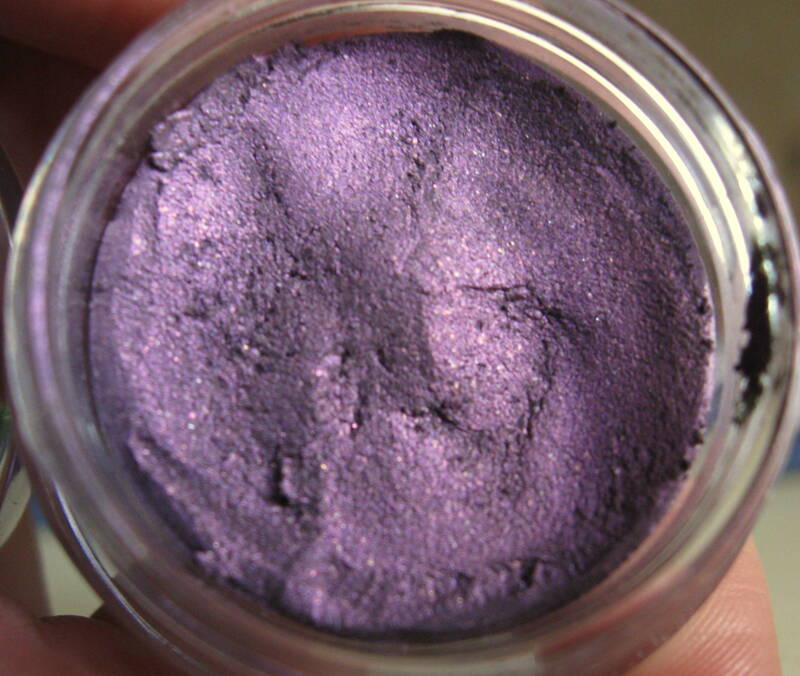 This is a more sparkling pinky purple, that lasts a lot on your eyelid. I wore it during a trip and it last all day long. It went in to the crease, a little bit, not so much as the Maybelline one did. It’s hard to pick up with both fingers and brush. Also the application is not easy and uniform, but the result seems to be better than the other one, at the second layer. I also got another Color Tattoo 24hr, but I’m gonna tell you about it in a new article!